After a four year tour hiatus, Ella Yelich-O’Connor, better known as Lorde, brought Melodrama to Philadelphia this week, marking the 22nd stop of the 31 city North American Tour. 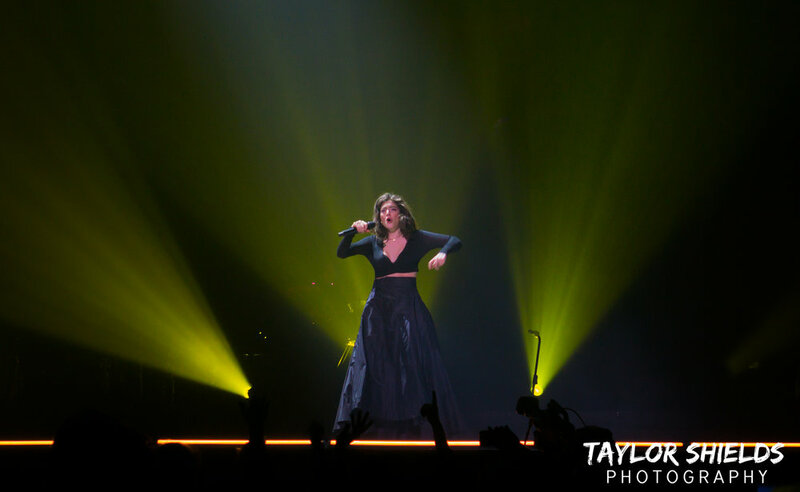 Lorde treated Philly to a theatrical production of her most notable work, with emotional performances and striking choreography that had a packed Wells Fargo Center completely captivated for the duration of the show. Not only is the Melodrama World Tour the visual performance of its album’s narrative, but its inclusion of much of Lorde’s debut album Pure Heroine helps tell a coming-of-age story from start to finish. It is beautiful and heartbreaking, dramatic and fun. It is art. With only two studio albums to date, Lorde was able to include a majority of her songs as well as pay tribute to a few of her inspirations, even fitting in a cover of Bruce Springsteen’s “I’m on Fire” mixed with her own 400 Lux. Check out the remaining dates for Melodrama World Tour: North America Dance below, as well as photo coverage of Monday night’s show.